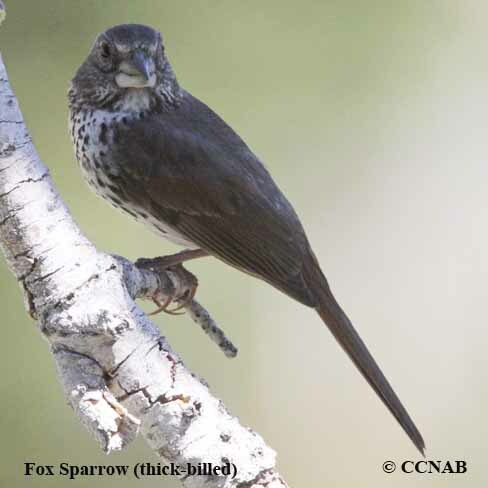 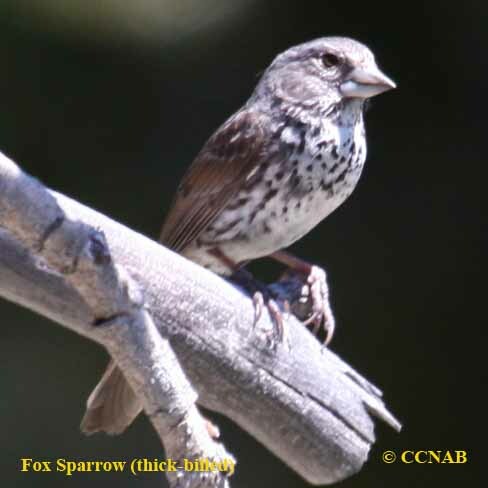 The Fox Sparrow (thick-billed) is found in the mountains from Washington at its extreme north, south into California. 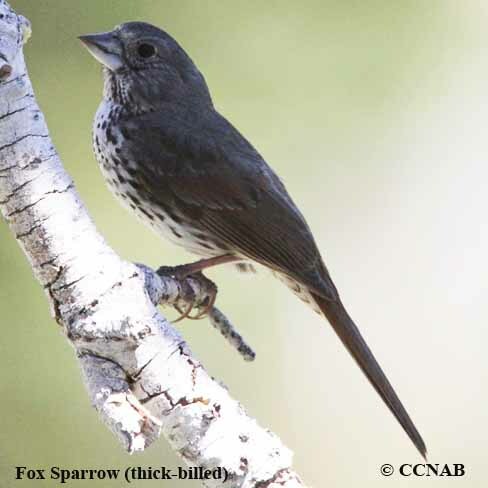 This dark plumaged colored bird is quite different looking from all the other Fox Sparrow sub-species. 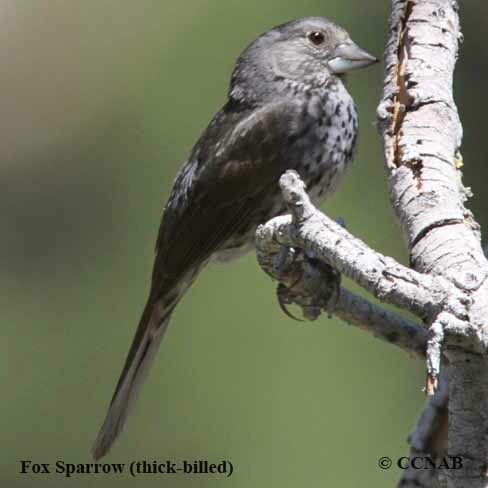 It has a very large and long bill, forming a point at the end. 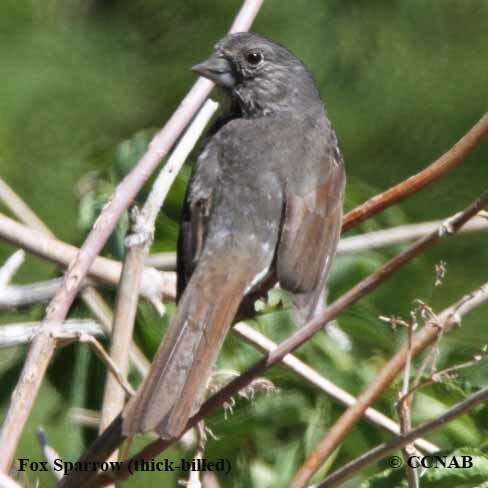 It is what one would expect to see in a grosbeak.